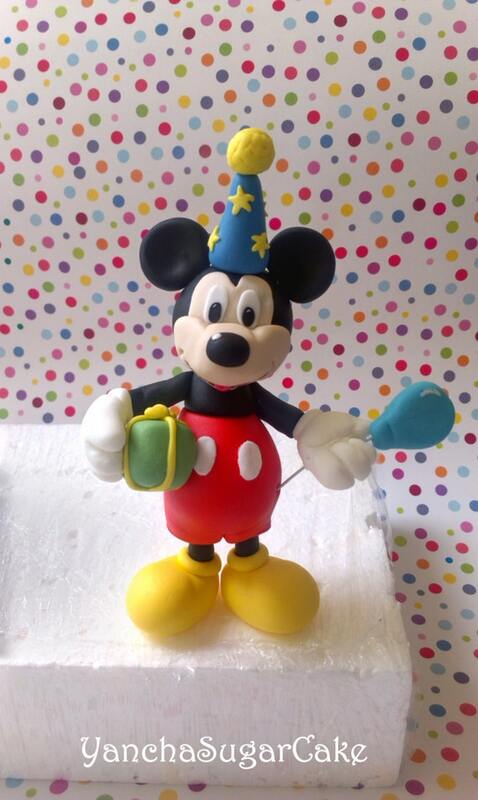 This listing is for Mickey mouse edible fondant 3D figure that is perfect for your birthday cake. The topper is approximately 6" (15 cm) in height and fits on the top of any cake's size. The colors can be customised to match your preferences. Please don't hesitate to request some changes to your topper. Please allow 4-7 days for construction and drying time.